We service the following areas: Not limited to the towns listed, just a general Idea of the area we cover. We use mulching mowers to cut lawns. Why? There's a few reasons. It saves you money because we don't have to stop to empty any grass clippings and you don't have to pay for us to haul it away. Mulching is healthier for your lawn. For more information on mulching, read the artcle below. Mulch mowing - the mowing of turf where the clippings are not sent to a catcher. They are instead held suspended under the deck, where they are continuously re-cut until they are of such a fine consistency that they drop back into the lawn. There are many homeowners who have a false belief that this type of mowing will cause or increase thatch. This is not true. Just above the surface of the soil, the thatch layer consists mostly of dead and living grass roots. After mowing a lawn with a mulching mower there is a fine layer of grass clippings that will be lying below the surface of the turf. Some of these clippings may fall through and actually rest on top of the thatch layer. However, the fact of the matter is that, wherever they land, all of these finely chopped grass clippings will break down usually in less than 7 to 10 days. These clippings decompose by being acted on by microbes in the soil that the lawn grows in. This decomposition is accelerated each time it rains or the lawn is watered. It is important to note here that during this decomposition of the grass clippings all of their nutrients are released. Many of these released nutrients will find their way back into your growing lawn. Research indicates that as much as 10 to 15 percent of a lawn’s required nutrients can be applied by simply using a mulching mower. This means the cost of feeding your lawn can be reduced. The use of a mulching mower has other benefits as well. Until the cut clippings have decomposed they will help shade part of the lawn and any exposed soil, which will slow water loss in your lawn and inhibit the germination of weed seeds. 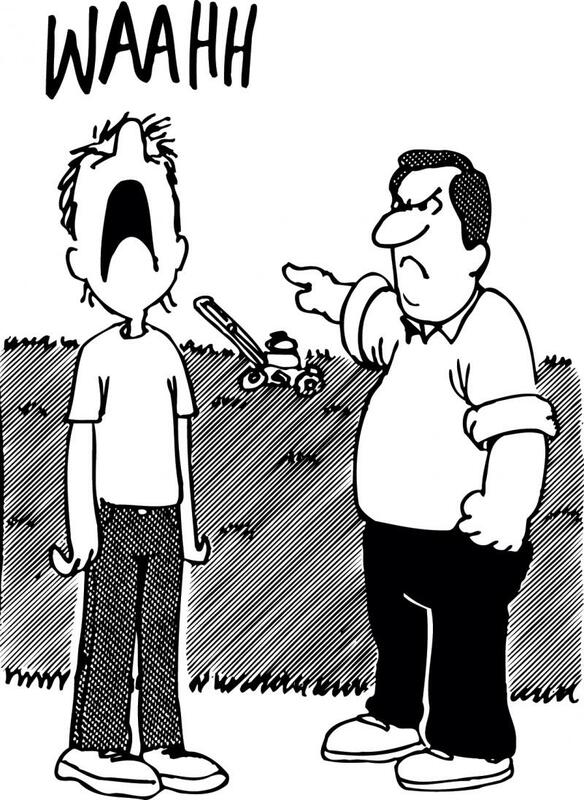 Some of the most immediate benefits to mulching your lawn are: not needing to collect clippings in a catcher that weighs your mower down; not having to continually empty that catcher; not having to store garbage bags full of smelly clippings; and knowing that you are not unnecessarily contributing to the landfills. 1. If your town allows it, we pile the leaves in the street. 2. You buy those brown recycling bags, we fill them up and leave them on your property, wherever you want. 3. We take the leaves with us. This is the most costly because we have to haul them to a recycling yard and pay to dispose of them. 4. Cheapest and best option, we mulch the leaves. Our process is very simlar to our lawn mowing with a few extras. First we will go around the property and remove any debris such as sticks, branches, etc. Next we use our blowers to blow any leaves we can't reach with our mower onto the lawn. We then just cut your lawn as usual and mulch the leaves. Just like above, this saves you money. Sometimes we will charge around $10 extra depending on how much additional work is needed. Last fall many of my customers were not charged anything additional. ﻿ ﻿ Mulching leaves is also beneficial to the health of your lawn. Here's another artcle that explains why we mulch leaves. One of the biggest chores in a lawn is tree leaf removal. People will do whatever it takes raking, blowing or vacuuming, to get those leaves off the lawn. Leaves should not be left to sit on top of your grass. Not only do the leaves block sun light getting to the grass, the area under fallen leaves stays damp and is a breeding ground for fungus that can damage the turf. The major problem with leaf removal is the disposal. Some homeowners and municipalities compost leaves and yard waste which can later be used as an amendment to flower beds or spread out over lawns. Composting is a great use for this organic matter. Far too often though, raked leaves find there way into landfills, which is not an environmentally sound practice. The best method for weed control is mowing the leaves with a mulching mower and letting them fall to the soil, right where they are. Studies at Purdue University show that mulching leaves into the turf can actually be beneficial to the soil and grass. Soils with mulched leaves showed increased microbial activity and better water infiltration. A Michigan State University study showed that when leaves were mulched into established turf the grass greened up quicker in the spring and also had fewer dandelions in the spring. It was also found that the mulched leaves will breakdown quicker if a fall fertilizer application is applied. Mulching leaves also has some hidden benefits. The repeated mowing needed to mulch the leaves actually thickens the grass by encouraging it to grow laterally. If was often thought that mulching leaves into the yard would thin out your lawn but now it has been repeatedly proven that mulching leaves into the grass will build a healthier lawn in the next year. Save yourself time and increase your lawn’s health by keeping the rake in storage and mulching tree leaves with your mower. 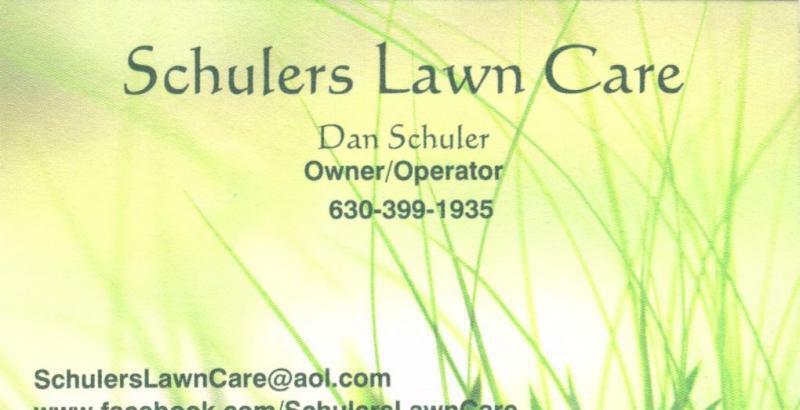 Copyright 2012 Schulers Lawn Care. All rights reserved.